Take yourself on a voyage (journey) of taste. Find the best food for your current crave as Voyage serves Western, Asian, Local delights, Pastry, Beverages and Wine selection. All the food are crafted by our accomplished chefs to be healthy but still delightful and energizing. Voyage opens daily from 6 AM - 11 PM with live music in the evenings. 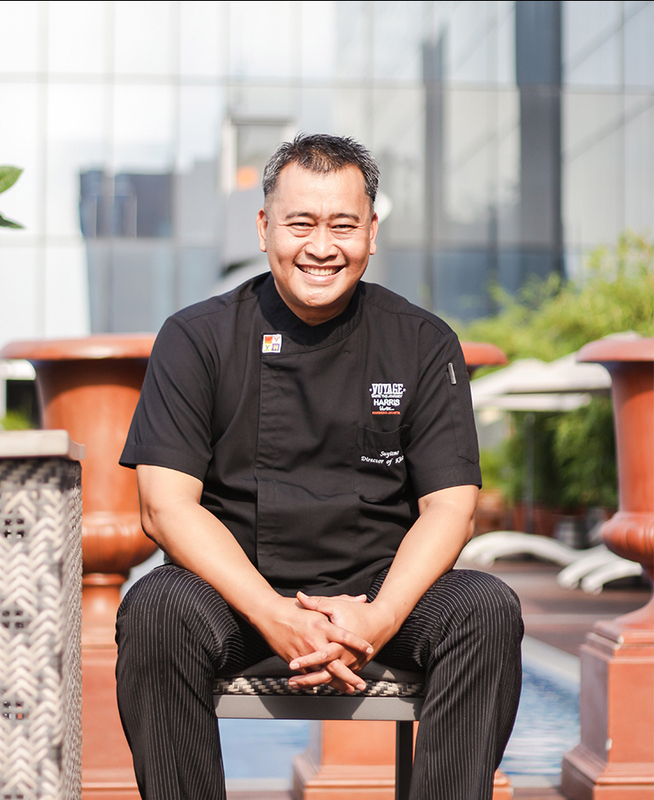 Chef Suyitno has a long experience working in 5 star hotels in Indonesia and abroad.